This month, Women’s Running experts chime in on how far to run during the buildup to goal races, why consistency in training is important, and how to keep those hamstrings happy. 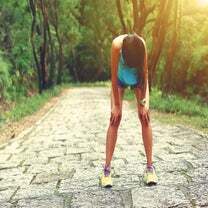 How long should my longest run be before a goal race? When building up for races—no matter the distance—it’s important to incorporate a long run. This run should always be at a slower pace than your goal race pace. When training for a 5K, the distance of your longest long run really depends on how much running experience you have. If you are new to running, gradually build up your long run to 5–6 miles and keep the pace around 1:30–2 minutes slower than race pace per mile. If you have more running experience, you could have a long run that gets up to 8–10 miles, maintaining that more “comfortable pace” during the run. When training for a half marathon or a marathon, the long run is even more important as your aerobic strength is key. For half-marathon beginners, race day will be your longest run, but you will want to having a long training run that gets up to 10 or 11 miles. For those who have run half marathons before, a long run that nears 15 miles with some of the run spent running at race pace will be valuable. For the marathon, no matter your experience, it is important to build up to a long run of 22–23 miles with a handful of 18–22-mile long runs as a part of the training cycles as well. Knowing that you can get to 23 miles under control and feeling strong will help you toe the line with confidence that you can do the full 26.2. Hillary Kigar is a former NCAA runner who competed for the University of San Francisco and a high school head cross country and distance track and field coach. Remember as you train, life happens. If you get sick and miss a long run, it’s okay. “Quality and consistency” is the mantra, but just because a few things didn’t go according to plan doesn’t mean the race is a wash. Often our body knows what is best. If you get a head cold a couple of weeks before your race or all of a sudden you have to travel for work, your body and life may be telling you to take it easy and rest for a couple of days. Take a deep breath, trust the process and do your best. You are stronger than you think. I am always injuring my hamstrings—how can I strengthen them? There are many tissues that mimic hamstring pain, which may be why your hamstring injury never seems to get better. Many of the runners I see in my practice have pain in their hamstrings that is referred from somewhere else. First you must correctly identify the source of your pain to truly treat it. If your symptoms are truly from the hamstring, do not overstretch the muscle, as this could make it worse. Add eccentric exercises such as hamstring curls and kneeling eccentric glute-hamstring raises to your regular strength routine to better prepare your hamstrings for running. Running form may also be a culprit of your ongoing symptoms. 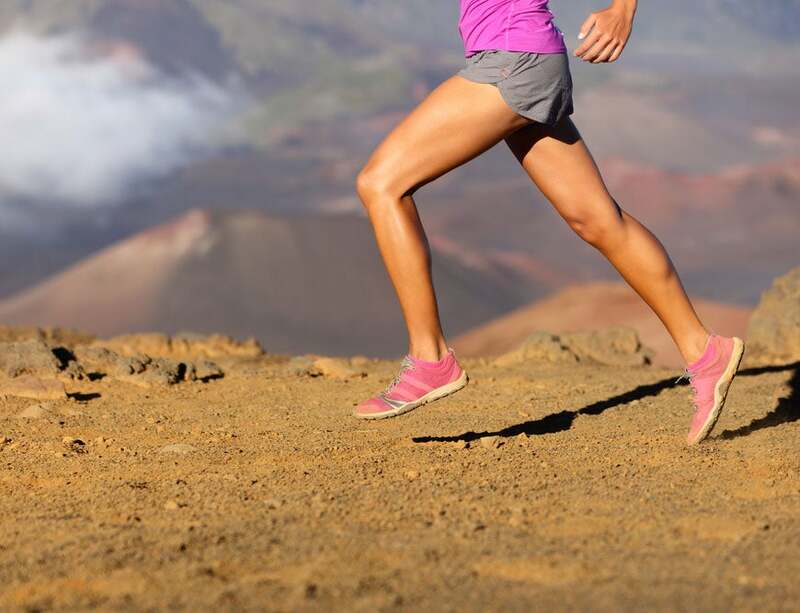 A runner’s foot strikes the ground 800–1500 times every mile. If you are landing with your foot too far from your center of mass 1500 times every mile or bending forward from your hips, there could be increased stress on the back, nervous system and hamstring. See a physical therapist or experienced run coach to correct running form issues. Kate Mihevc Edwards P.T., D.P.T., is the CEO and founder of Precision Performance & Physical Therapy in Atlanta, Georgia, the author of Racing Heart and a former runner and triathlete.